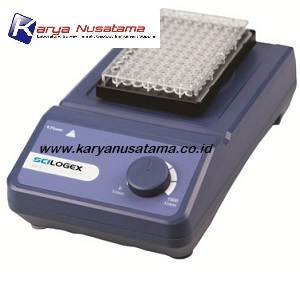 SCILOGEX Microplate Mixer is used for holding single or double microplates. The compact shape of MX-M Microplate Mixer occupies less bench space and makes the storage easier. It is widely used in life sciences including microbiology, cell and molecular biology, immunology and biotechnology. The MX-M Microplate Mixer is ideal for mixing/shaking 96 well microplates. The mixer's high speed and small orbit combine to offer true vortexing action in each well of the microplate for complete and uniform mixing.